For the second year running Eltham’s Yak & Yeti restaurant in Eltham High Street has been highly commended in the Parliamentary Tiffin Cup competition. The Yak and Yeti, which has become a well-known favourite of the local community, was nominated for the Tiffin Cup by local MP Clive Efford after he had asked people from across his Eltham constituency to vote for their favourite local South Asian restaurant. The Yak and Yeti came out clearly on top. The Tiffin Cup is an annual competition which looks to celebrate the best in south Asian cooking and to raise awareness of the success and importance of this sector of the restaurant business. The Yak and Yeti was highly commended by the judges, highlighting the authentic and delicious Indian and Nepali dishes served daily in the restaurant. 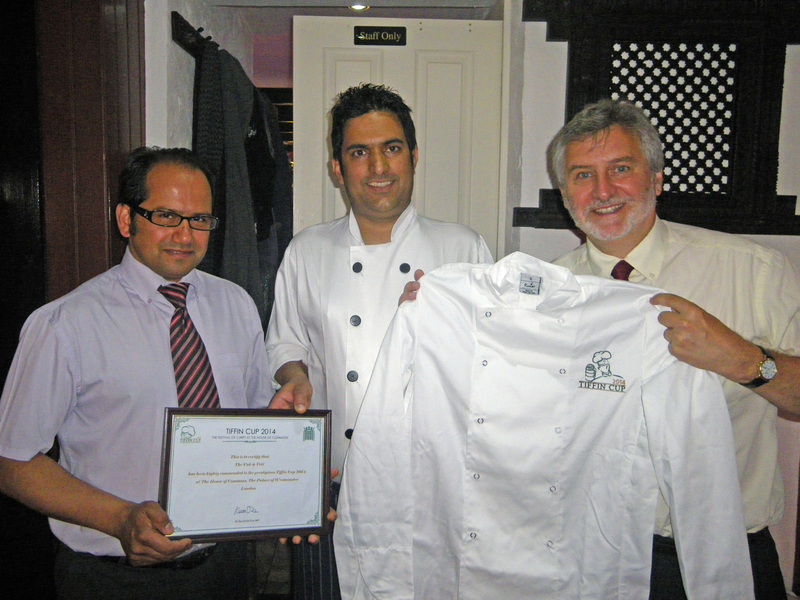 Clive Efford MP, visited the restaurant to to present them with a certificate and a special commemorative chef’s jacket emblazoned with the Tiffin Cup logo.